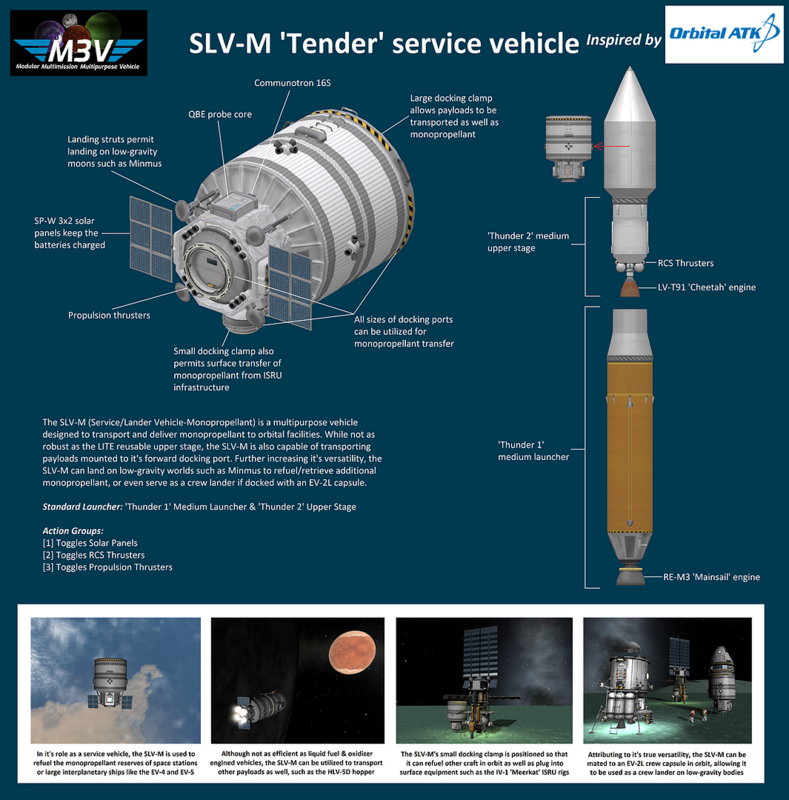 The SLV-M (Service/Lander Vehicle-Monopropellant) is a multipurpose vehicle designed to transport and deliver monopropellant to orbital facilities. 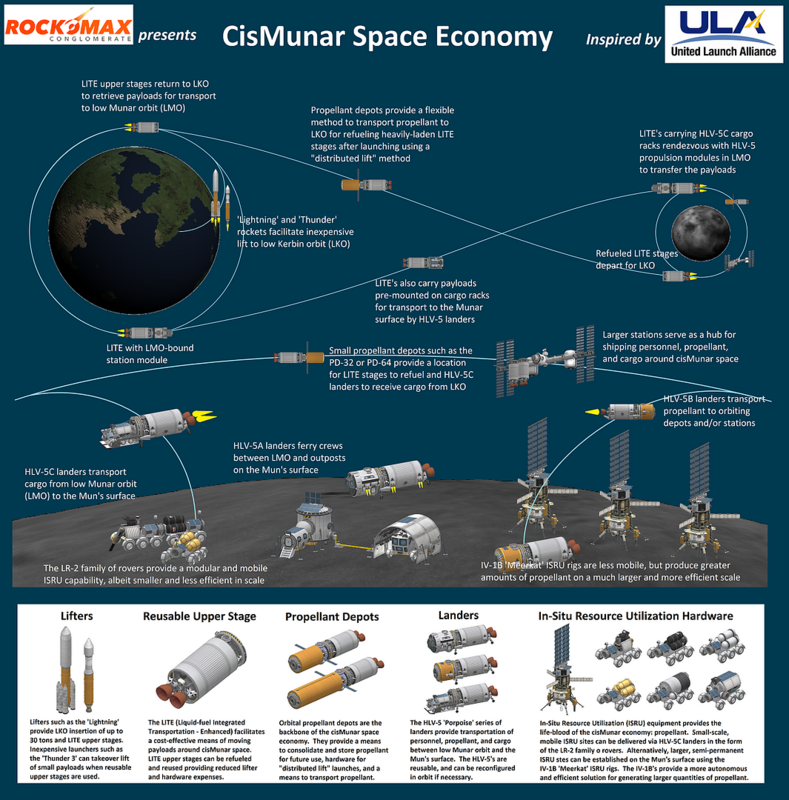 While not as robust as the LITE reusable upper stage, the SLV-M is also capable of transporting payloads mounted to it’s forward docking port. Further increasing it’s versatility, the SLV-M can land on low-gravity worlds such as Minmus to refuel/retrieve additional monopropellant, or even serve as a crew lander if docked with an EV-2L capsule.